Today's Blogmas is some more festive baking! I love a bit of cake baking and decorating. 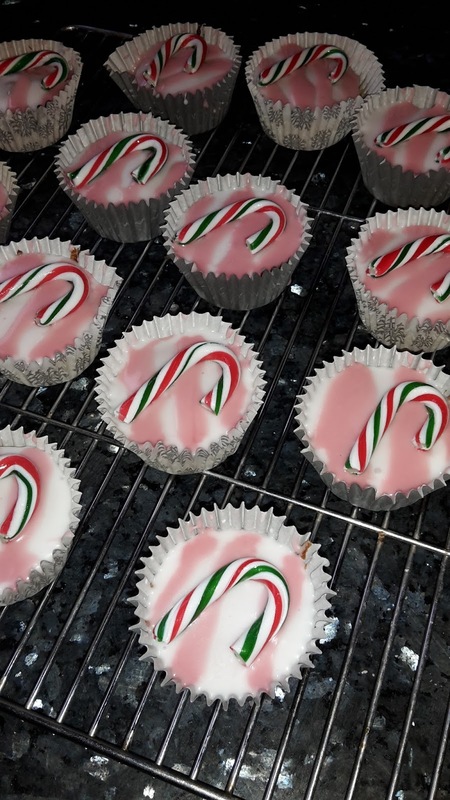 I found some mini candy canes and knew I wanted to put them on some cakes. These are my interpretation of peppermint cupcakes. Start off by baking cakes in the general way. Creaming together the butter and sugar till smooth. Then mix in the eggs and self raising flour till smooth again. Once this is done separate into cupcake cases and bake in the oven for 20 minutes at 180 degrees. Once cooked leave to cool then you're onto the decoration. Mix your icing sugar with hot water making sure the consistency is thick. I have no method in this and just pour in loads of icing and hope for the best. Usually resulting in me having far too much icing. Once the icing is thing add in a small drop of peppermint flavouring making sure it's not too overpowering. Then cover each of the cakes with some icing till they are all covered. Then with the leftover icing add in some red food colouring. Then put this icing over the top of the other icing in streaks giving a candy cane effect. Finish off by putting a mini candy cane on top for decoration. Voila your peppermint cupcakes are doing. 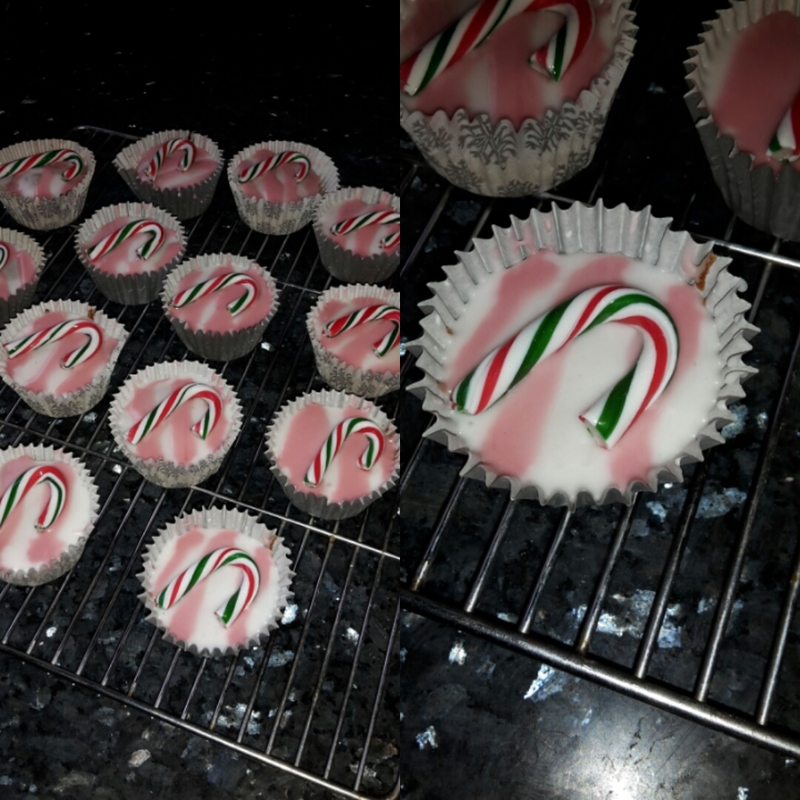 I also have a recipe for your leftover icing, turnin it into peppermint creams which I will be posting in due course.